Geoff Clews is one of the few New Zealand lawyers who specialize in acting for clients facing serious tax problems, both civil and criminal. He has done so for more than 30 years. Geoff’s practice covers all aspects of tax controversy. He advises clients in the course of Inland Revenue investigations. He conducts the formal aspects of the statutory tax disputes process. He litigates tax and related issues, and defends criminal tax charges, before the Courts at trial and appellate levels. In all these matters Geoff applies focused and objective analysis of his client’s situation, an honest judgment of their position, strategic thinking and compelling advocacy. Sometimes people cut corners with their taxes. Not everything gets returned as it should be. Claims are over stated or income is suppressed. These tax secrets fester away but you can do something about them if you act in time and with the right help. We deal with these issues all the time. A tax investigation can be intrusive, frustrating and worrying. Tax investigation powers are intimidating but have to be exercised within limits. These procedures have to be managed carefully to avoid cost and increased tax risk. We manage tax investigations daily. In a dispute with IRD? The statutory tax disputes process is complicated and involves strict time frames for the exchange of notices and “sudden death” deadlines. If you miss one of them, you can lose all your rights of dispute and if you omit something it will be difficult to raise it later. We know these procedures thoroughly. A tax challenge is formal civil litigation in the Taxation Review Authority or the High Court. It requires a winning strategy, tactical sense and persuasive advocacy. We try to keep clients out of court but, if it is needed, we advocate for taxpayers against the IRD at all Court levels. Tax crime is serious and involves the real risk of prison. If you have not disclosed your default to the IRD and it prosecutes you, an effective defence or mitigation is vital. We appear regularly to defend people who have been charged with tax offenses. Is IRD after a tax debt? Tax debts can mount up very quickly if they are not managed. Penalties and interest can virtually double the size of a debt in 3 to 4 years. Settling payment terms with the IRD is not a normal commercial negotiation. We deal with this issue for clients all the time. Tax laws are particularly complicated because they have to cover every aspect of commercial life. Parliament is always changing them to meet new demands and to close loopholes. Many commercial transactions require a tax sign off and responsible taxpayers will seek advice before adopting a course that could have material tax outcomes. Sound tax advice can be insurance against some tax penalties. The Department of Internal Affairs Charities Service vets, registers and oversees charities. Defining the purposes of an organisation in a way that qualifies as charitable can require professional advice. Adverse decisions as to charitable status may be appealed to the High Court which has marked out a more particular approach to the scope of charitable purposes. admission to the Bar of the Cook Islands High Court. He is available to act as counsel in tax disputes and litigation with the Cook Islands Revenue Management Division, and litigation related to the Cook Islands International Trusts and Companies regimes. Geoffrey Clews of Old South British Chambers is in-demand for tax disputes, and noted by law firms for his activity in this practice area. Lately he has been involved in litigation around the meaning and extent of tax provisions between New Zealand and foreign jurisdictions, such as the double tax agreement with China. He is highly respected, with one source stating: "He is great to work with as he is approachable and well-versed at thinking outside the box to get the right legal answer." - Chambers Asia - Pacific 2019, New Zealand, the Tax Bar. Geoff, since a young age I have understood the benefit of retaining very capable people, especially when it comes to challenging issues that are quite consequential. Right from the beginning I knew you, like others before, were going to fulfill that same need. Too many people use middle level advisers, get average advice with no connection to the senior ranks of the other party and despite the lower charge out rate, end up paying more. - Client communication on successful completion of a long running case, May 2017. 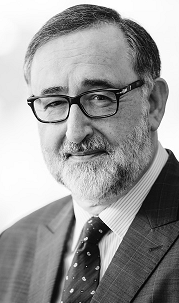 Geoff Clews has been a long-established leader in the tax law arena, in both a civil and criminal context and is one of the few New Zealand barristers who has developed a strong reputation in the area. His expertise extends from every part of tax issues and at all appellate levels, achieving significant recognition for his expertise in the area, including for his advocacy. - LawFuel "Top Barristers Nudging the Power List," February 2019. To see other reviews, click here. A large suite is available in Old South British Chambers, overlooking High Street. The occupant would share in all common areas including conference and meeting room, kitchen and reception areas. All suites in chambers share its secure server and wifi. This is character space with presence, comprising some 45 sq m, with high stud and ornate plaster ceilings. The space provides a collegial environment, and comes at reasonable rent, share of opex and rates. To get more information about this space in chambers click here. 18 April 2019 - The Government's response to recommendations of the Tax Working group emphasises possible tax responses to land banking, seismic strengthening expenditure, investment in nationally significant infrastructure, loss continuity issues, securing tax debts, and director liability for company GST and PAYE debts. Matters, apart from a capital gains tax, that have been dropped include a taxpayer disputes service and additional tax resource for the Ombudsman. Read more about the Government's response here. 17 April 2019 - In a surprise announcement the Prime Minister has said that the coalition Government will not proceed with a capital gains tax and that the Labour Party will not advance such a policy while the PM is leader. Other initiatives suggested by the recent Tax Working Group will be considered by Inland Revenue, as part of its ongoing work program, or by the Productivity Commission. 6 March 2019 - The Department of Internal Affairs has released a discussion document on modernising the Charities Act. This is part of a consultation process that is open for submissions until 30 April 2019. The document can be read here. 5 March 2019 - From 1 April 2019 NZ will add 30 further jurisdictions to the 60 it already recognises for the purposes of Automatic Exchange of Information on tax matters. This marks a substantial expansion of NZ's commitment to the common reporting standard promoted by the OECD. The additional territories include the Cook Islands, Vanuatu, Niue, Panama, Switzerland and several Caribbean countries. To see the release by the Minister of Revenue, click here. 21 February 2019 - The final report of the Tax Working Group was released today. It makes a raft of recommendations for re-balancing the tax system but most focus is on the majority recommendation for a comprehensive capital gains tax. The Government is to respond in April with its policy choices from the report. The details of the report can be found here. 18 February 2019 - Frustrated with the time being taken to institute OECD reforms for taxation of international digital companies such as Google and Facebook, the Government has announced that it will shortly issue a discussion document canvassing steps it will take to impose a domestic digital services tax. This is likely to take the form of a levy on revenues generated in NZ from a range of online activity, from search engines to social networks. In the meantime the tax world (or at least NZ's tax world) awaits the final report of the Tax Working Group on 21 February! 15 February 2019 - Officials are urging the Government to past retrospective legislation to over turn the effect of the High Court decision in Roberts. This case found that a charitable gift need not be one of money and that the words "monetary gift" include other financial benefits. The case is under appeal but IR wants to clarify the law, overturning its loss in the High Court. See our case note on Roberts here. To view past tax and trusts news, click here. Tax and trusts law is constantly developing through Court and tribunal decisions. To read our latest case notes, click here. To read about company directors being personally liable for company tax debts, click here. To read this recent commentary, click here.